The new style pant for fall. This ribbed knit belle flared trouser is a must have. I love the texture and if it’s got flare, I’m sold! I like how it adds a different element and now the bell sleeve has some competition or maybe just a new best friend. 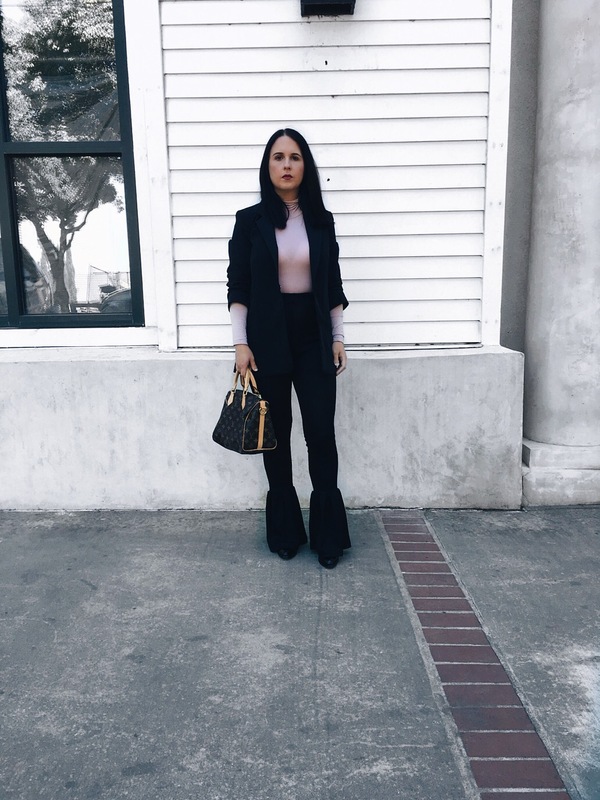 I’m loving this bell bottom look on this trouser because I’m so use to seeing it on jeans. It’s a first time for me to wear a shorter sleeved blazer with long sleeves underneath. 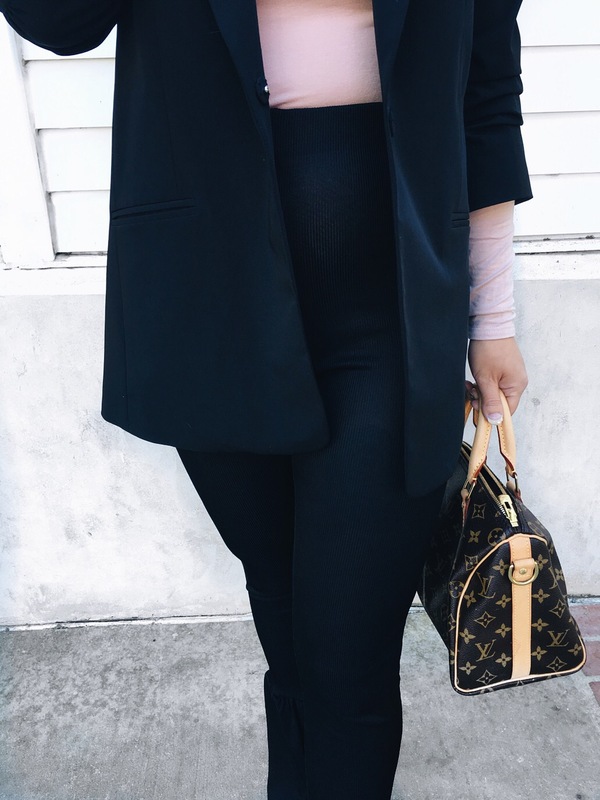 I just can’t resist this long line Elizabeth and James blazer! I wanted to have some more coverage since the pants are a slightly thinner material and fit more like a legging. Plus, I think the length of the blazer adds some balance. 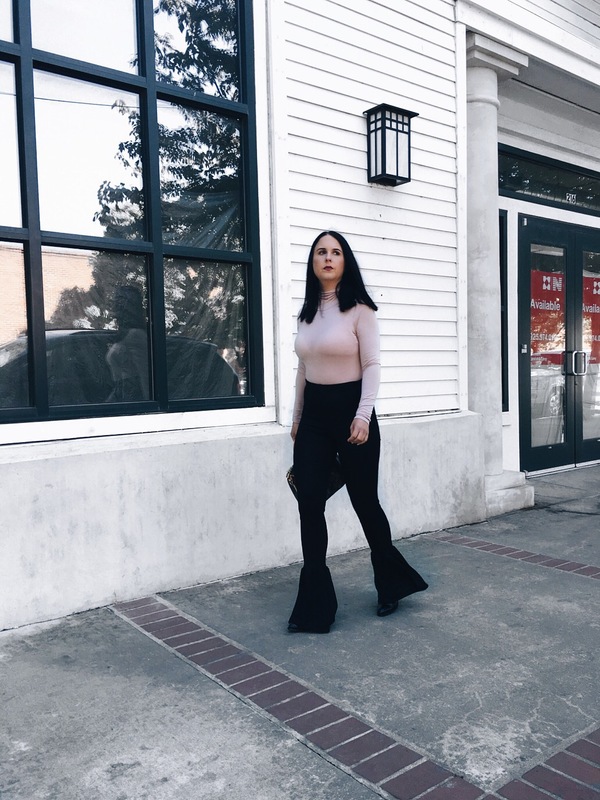 These trousers are modeled with a bell sleeve matching top. I almost wore it with a cropped bell sleeve top I already own. Maybe that will be my next look with these. Those pants are pretty cool! I love how you styled them but I don’t think I can pull those off haha. I definitely think you could pull these off! Love this look! The flare hem on those pants is so cute. So happy you love the pants! those pants are seriously so cool!